Advocate for a healthy community culture through infrastructure, education, and programs to support healthy choices. Build a culture of well-living where community support leads to unconscious lifestyle changes. Helping businesses to create policies encouraging fitness at the workplace. Illustrate how worksite wellness can be a return-on-investment strategy. Support vendors at Farmer’s Markets to promote their products and invite community members to eat more fresh fruits and vegetables. Encouraging schools to see a need for healthier concession stand food options by utilizing the USDA food guidelines. Encouraging families, schools, and communities to promote biking/walking to school and work as a mode of safe and effective transportation. • In 2012, 22% of Buffalo County residents reported no physical activity. • In 2012, only 9.6% of Buffalo County residents reported eating one serving of fruit and one serving of vegetables every day in the past 30 days. • In 2012, 67.1% of Buffalo County residents reported a BMI of 25 or higher. • In 2015, only 39% of businesses reported offering policies encouraging fitness. • In 2015, 48.5% of parents did not allow their children to walk or bike to school due to heavy traffic along the route. • In 2012, 32% of Buffalo County residents reported feeling worried or stressed about having enough money to buy nutritious meals. In an effort to increase consumption of fruits and vegetables in the community, Be Well set up on going NTV interviews to promote the local Farmer’s Market vendors and show recipes with the fresh produce. The vendors have been very appreciative of the extra promotion. Gary Stubbs, of Gary’s Garden said, “People in the community need to have conversations about how they could help promote the local Farmer’s Markets.” Be Well partnered with the Nebraska Extension to provide information on fresh produce to people buying at the markets. The Senior Voucher program with the Area Agency of Aging also got media promotion from Be Well. The program helps elder individuals get credit to spend at the Farmer’s Markets. Be Well Buffalo County’s strategic planning process is officially underway. Over the last year, Be Well has developed a relationship with consultant group, Epiphany Community Services. 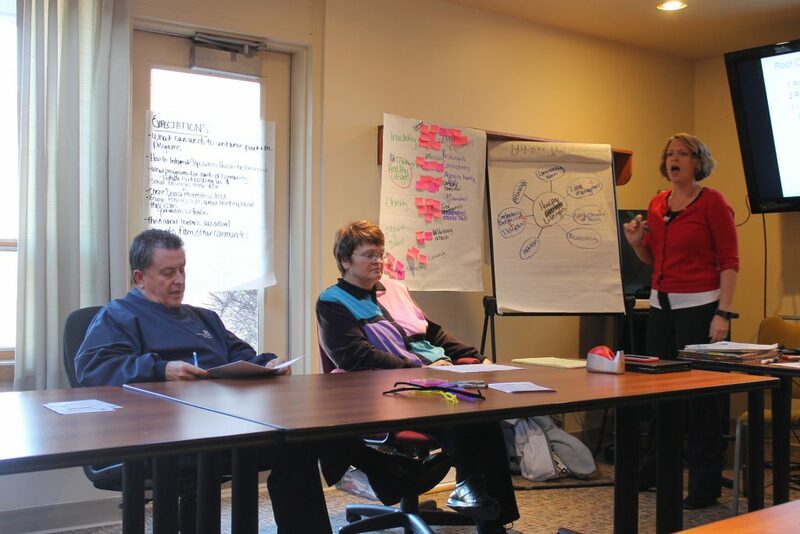 At their meeting on November 28, 2016, Be Well walked through the first step of Epiphany’s process—a problem analysis session. 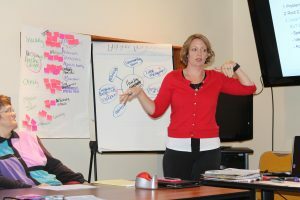 A problem analysis is designed to help the group understand what community issues are at play, and how they impact one another. It also dives into the causes of those community issues and validates concerns with specific data. Essentially, it helps to paint a picture not only of the challenges faced by the community, but the causes and conditions that pour into those challenges. 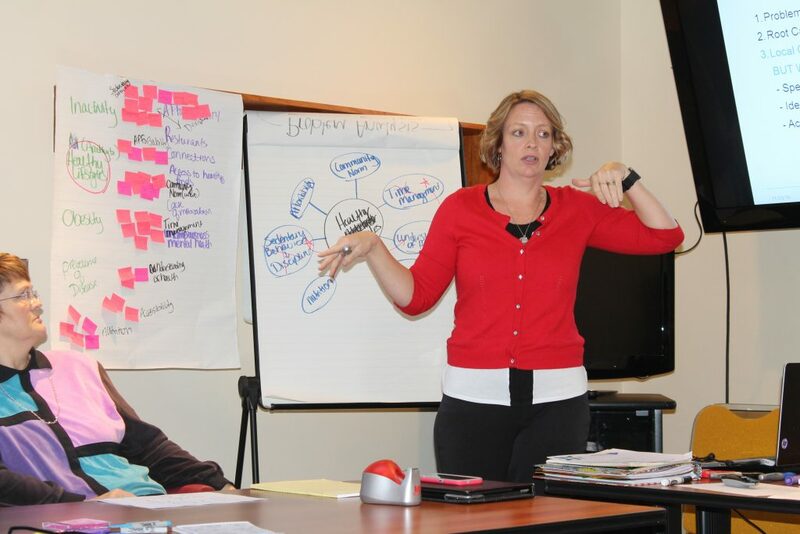 Be Well Buffalo County worked with Heidi Bainbridge from Epiphany to walk through a problem analysis as a group. This allowed the group to identify the primary issues and their causes, rather than relying solely on the consultant team. Be Well came to a consensus that the primary issue it hopes to address is healthy lifestyles in Buffalo County. While that is a broad challenge, and there are lots of factors at play, the group narrowed the root causes to five: accessibility, nutrition, affordability, community norms and understanding of health. Be Well Buffalo County members, Stan Clouse and Carol Schwarz, tell Heidi the list of problems they found in the community on their given issue. The group will continue to re-visit that conversation and work through the local conditions to lay a strong foundation on which to build a strategic plan for maximizing healthy lifestyles in Buffalo County. Starting at the foundation—conducting a problem analysis—will allow Be Well to make the greatest impact in the most efficient way. Conversations began in 2014 with four stakeholders, wanting to build a culture of wellness in Buffalo County. At the beginning of 2015, the conversation developed into monthly task force meetings with additional stakeholders joining them. The steadfast work of the group strengthened as they met regularly, collectively determined a mission and vision statement, and focused on the broad initiative of creating and facilitating community change aimed towards improved wellbeing. The change envisioned will be built on collaboration, mutual decision making, and cohesion for community members to develop ownership. Furthermore, the work will build and leverage the hot spots within the community while focusing on addressing the barriers and challenges that remain isolated. Through a root cause analysis, the invested stakeholders defined areas to assess 1) physical activity 2) practice of eating 3) social and family engagement 4) fruits and vegetable consumption 5) stress (crisis management). These key areas were created as the common agenda and will guide community dialogue, capacity building among community stakeholders and discovery of local resources. The collective impact of Be Well will provide continuous communication and mutually reinforcing activities to lead action among the priority areas. To implement action and create impact, Be Well will first focus on capacity building upon multiple levels; engaging stakeholders, identifying local resources, bringing awareness to all sectors, and facilitating data collection. Be Well received funding from the Sherwood foundation, Ron and Carol Cope Foundation and CHI Health to assist in their work. With funding Be Well prioritized to collect data first. Data collection will happen through a survey distributed to the organizations within Buffalo County. Dr. Bree Dority was contracted to do research of national workplace wellness and return on investment. Here is her report of findings. From the report the group is creating a survey for local community businesses/organizations to complete.